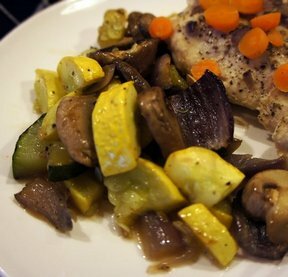 Feel free to include other vegetables such as asparagus, mushrooms, eggplant, sweet potatoes, winter squash, Brussels sprouts or turnips. 1. Preheat oven to 450Â°F. Mix seasonings in small bowl. 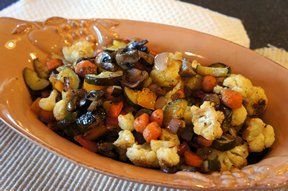 Toss vegetables and oil in large bowl. Add seasonings; toss to coat well. 2. 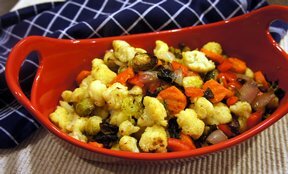 Spread vegetables in single layer on foil-lined 15x10x1-inch baking pan. 3. Bake 30 minutes or until vegetables are tender, stirring occasionally.Test Kitchen Tip: If desired, sprinkle 1 cup shredded part-skim mozzarella cheese over vegetables during last 5 minutes of baking.